I wanted to bring something that we know a little bit about to The Fun Times Guide. We at RVT.com see thousands of units change hands every year, and we’re looking closely at how people list their units – both private sellers and dealers – always looking to pick up on what results in a successful sale and what doesn’t. One of my favorite pages on our website is the testimonials page where you can read current success stories from some of our many sellers. This sentiment is the crux of the entire post. The above isn’t meant to be some sort of philosophical outlook, I’ll explain why. Your RV ad (or VDP, Vehicle Detail Page) is really the only initial touchpoint a prospective buyer has with you. I like to imagine that when someone makes a visit to a VDP, it is like they are standing in front of a unit, with the seller standing next to them. They may have questions, they will likely want to step inside, they will want to know about the history of the unit, they will be thinking of particular needs, wants or concerns. You need your VDP to be the “digital salesperson,” ready to answer by providing the many details buyers are after. How else can they find out? You’re not present! Now, no VDP can ever take the place of the actual owner standing next to you; you have a limited number of options and fields you can populate. The good news is RV buyers understand the limitations of a VDP. I liken a VDP with little to no content to a salesperson who is standing in front of a buyer with tightly closed lips, saying little to nothing to the buyer, perhaps unwilling to share the price, show them the inside, or tell them anything except a few features (if that) of the RV. What would you do if faced with a seller like this? Even if you liked the unit, you might leave just out of frustration! Our research shows that VDPs with 16-30+ photos perform better than fewer. 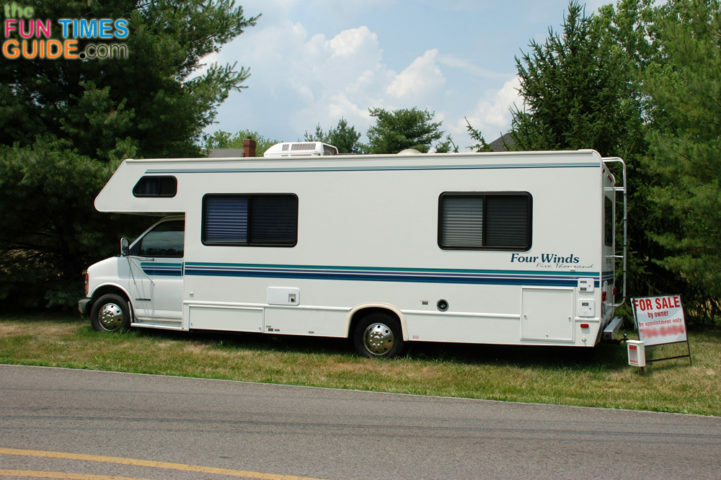 Be thorough and document each interior and exterior area of the RV. Watch out for: blurry photos, weird image artifacts or dark images. Depending on how much you are selling the unit for, you may actually want to spend the $500 or so and get a decent digital SLR camera (or borrow one). A tripod can allow for longer exposure times to allow more light into the camera without getting blurriness. Few people are going to pore over a feature dump. It may work for cars where there are only a handful of things to list (pb, ps, pw, manual, etc. ), but RVs can have dozens of listable “features”. It’s better to write in such a way as to communicate in a more readable fashion. Consider including groupings of features instead of all together in one big mash. Don’t be afraid to go long. People who are getting close to the buying stage will appreciate the details; so will people who are researching. Your RV ad can be a valuable source of information about the particular unit, especially if it’s not this year’s model as the manufacturer may not cover it as well online as you can. Also there’s research to suggest that search engines tend to prefer long pieces of content to shorter ones. Let people know it’s ok to contact you right in your description. Words like this show that you care not only about the unit but also about the person buying it, and it sets you apart from other sellers as more authoritative and trustworthy. To avoid having your description show up as one giant block of difficult to read text, use a few standard HTML tags to make your description look “right”. When using a word processor making a new paragraph is as simple as hitting enter twice. Making text bold, italicized or a part of a bulleted list is possible by clicking a button. But on the web, things aren’t always “what you see is what you get“. <b> – Wrap the <b> tag around text you want to be bolded. Wrap paragraphs in the <p> tag. Always remember to close your tags by using the forward slash as shown above. Things can move pretty fast online, and people can often forget which vehicles they inquired about during a shopping session. So, be sure to respond quickly to inquiries and always do a follow up on emails that you didn’t get a response to. Sometimes the buyer has simply forgotten, and we have noticed that sales can be saved by a simple follow up on the part of the seller, checking in to ask if the buyer is still interested. Sales don’t happen in a vacuum. Get involved and share the effort you put into your ad with your social networks, on your blog, on a forum and among your email contacts. Your buyer might be closer than you think, especially with the potential with social media for friends of your friends to see your posts. VDPs with links pointing to them (like the kind from a blog or even a social media website) tend to outrank those without. This is because search engines use links pointing to pages as signals of they relevance and quality. By getting a few links out there pointing to your ad you can be one of the top results in major search engines for your particular RV model. People find our VDPs directly from search engines every day. My final advice is this: write and photograph more than you think you will need to, and then pick and choose which parts of your greater sales “corpus” you want to use on a particular website. This will help you have ample content to choose from, and in this way you can avoid cookie cutting the exact same RV ad on every site; this is called duplicate content by search engines. Avoid it if you can – it’ll help more people find your RV ads by having varied content. I tried to make this a cut above the normal selling advice that you might find out there and get into some actionable steps you can take; things you may not normally think of. Drew Clifton is editor of the RVT Insight blog for RVT.com, the leading Internet classifieds website for buyers and sellers of new and used RVs for sale.